One of the easiest and most affordable ways to spruce up your home decor is to add a few pillows to your sofa’s or chairs. 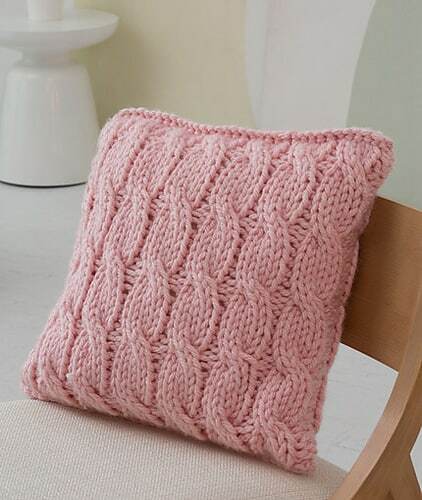 Brighten up your home with one of these 20 cute pillow patterns you can knit up this weekend. 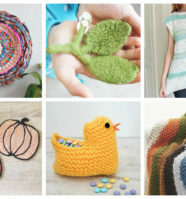 From the simplest of stitches to the most sophisticated and elegant cable knits, there’s something here for every knitting skill level, taste and decor. Richly detailed, this pillow is the perfect accent to your holiday home decor. This pillow is easy to work up – a perfect gift for anyone on your list! The most beautiful home accessories are self-made! 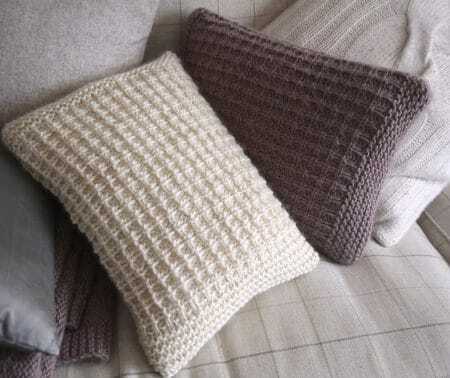 Including the gorgeous pillow that’s got a stunning textured look thanks to the moss stitch. 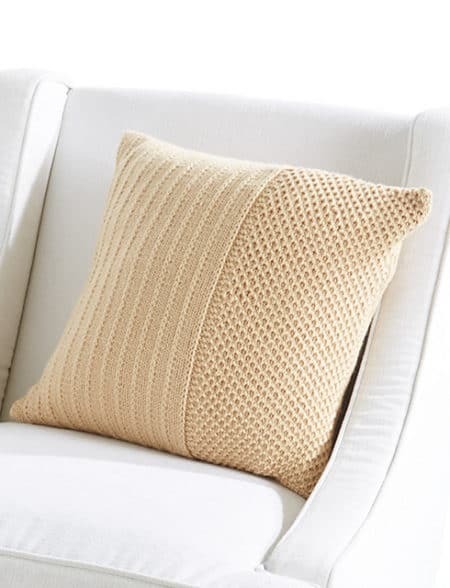 This cable textured pillow will add hominess and style to modern or traditional décor. Knitting color-work patterns can be intimidating at first but it’s actually not as difficult as it seems. 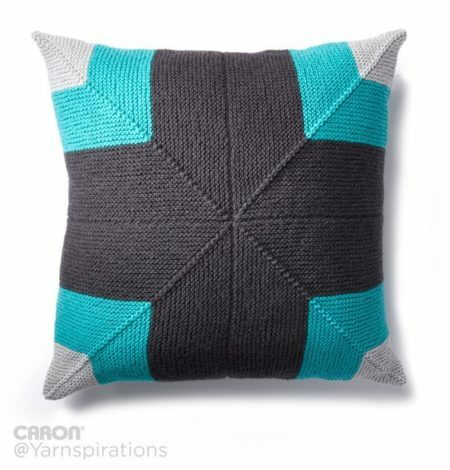 This pillow is a great little project for experimenting with color-work. Spruce up your sofa with bold, statement furnishings! 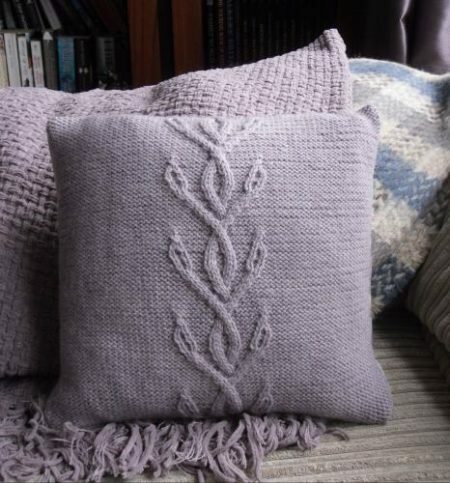 Cables and crossed stitches are used to achieve this brilliant intertwined design. This two tone cushion gives an interesting look to your interior. Very soft and easily knitted. 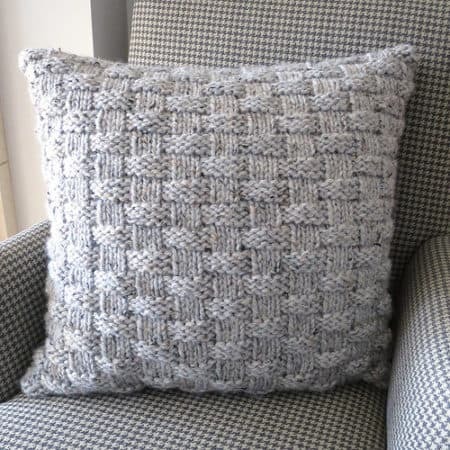 The cushion is knitted in double moss stitch, what creates a tough, textured look. 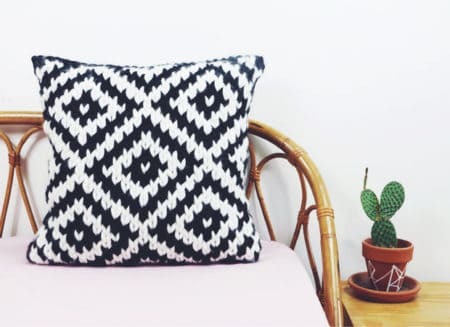 Made in sections, this pillow is quick to make and even quicker to fall in love with! 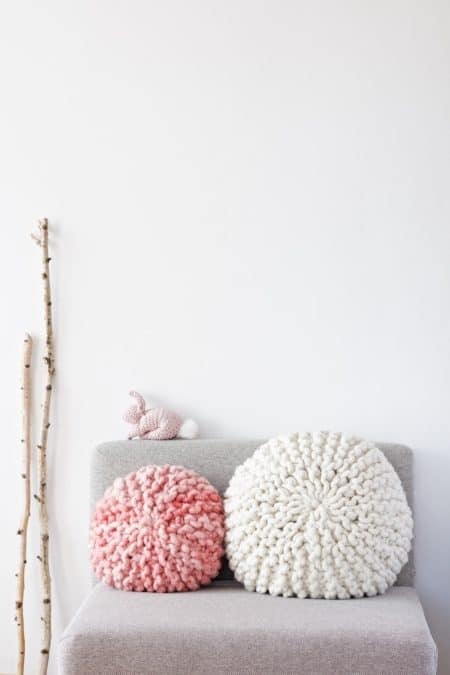 Check out these eye-catchers – these round knit pillows are especially great if your interior is more minimalistic and modern. 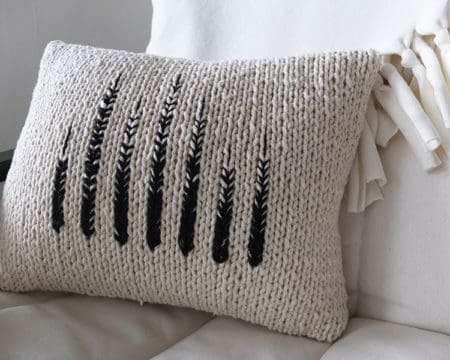 Simple embellishments on this very simple knit pillow turning this from average to spectacular. 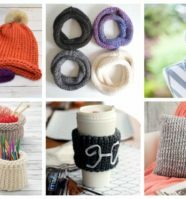 This project is super easy perfect if you are just starting to knit. If you know how to do the knit stitch then you’re good to go! 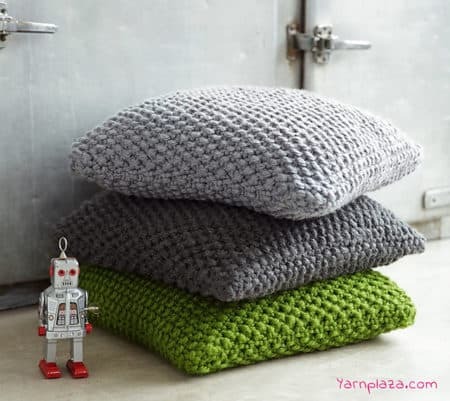 Refresh your decor with these easy to make cushions. You’ll be finished knitting these cushions before you are back to work on Monday. 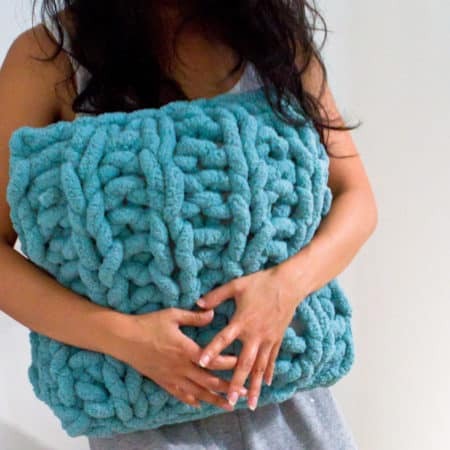 Jump on the chunky yarn bandwagon with this stunning knitted pillow cover. 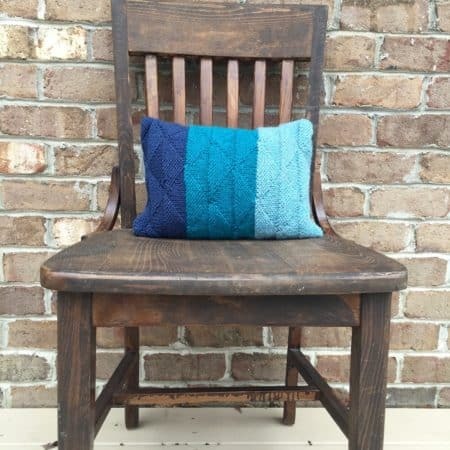 Freshen up your living room with yarn that matches your decor with this sweet cornflower cable cushion. 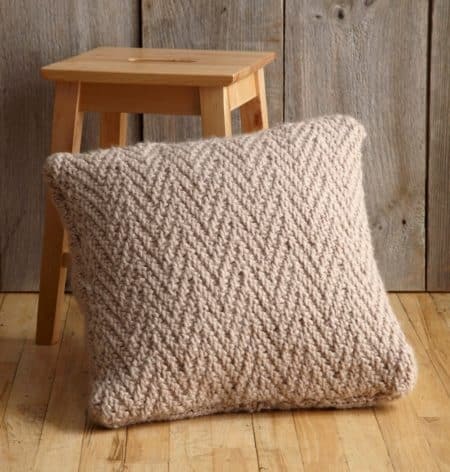 This herringbone stitch pillow may be a little more challenging but it’s worth the extra effort. 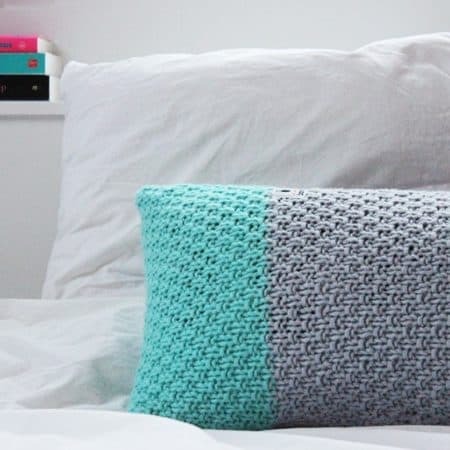 You’ll love this pillow so much, you’ll want to make more. We’re loving the ombre colors combined with the unique texture of the fabric. It’s a perfect project for TV watching, hanging out at the beach and road trips. 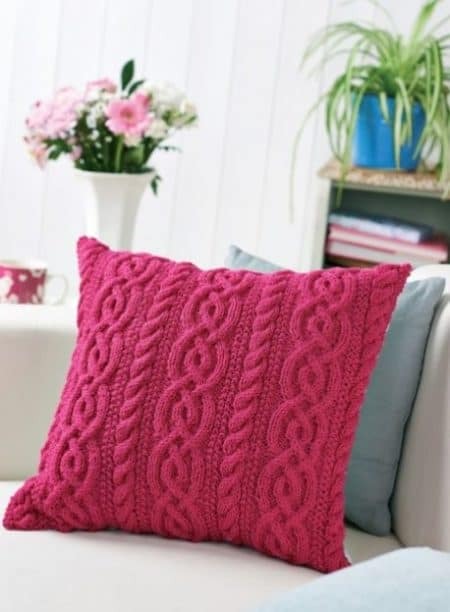 Cozy up to these huge knit pillows with a simple stitch and vibrant colors to cheer up your living room. 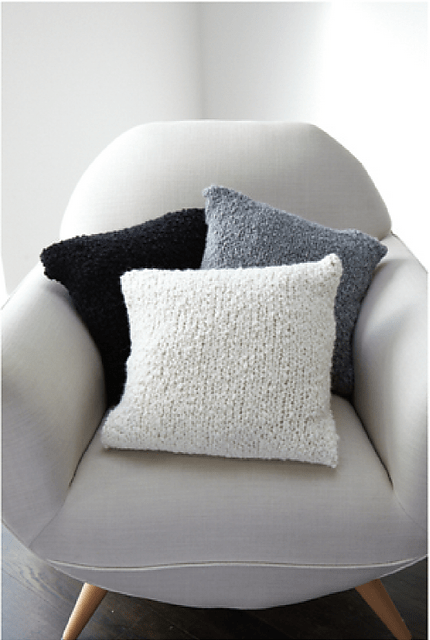 A sizable, luxurious pillow that’s perfect for cozying up to when you’re ready for a little down time. Nothing is cozier than a big bulky knit. 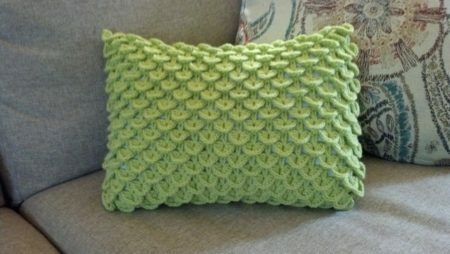 Save yourself some money and instead of buying new pillows at the store, knit up one of these fantastic basket weave pillows. 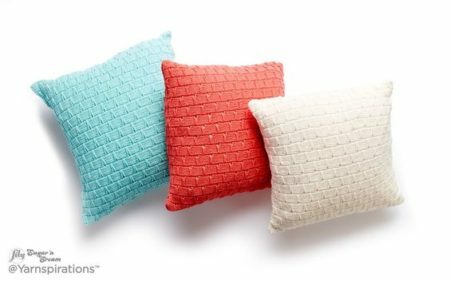 Create a depth of texture and a mock checkered look with this gorgeous shatter pillow. 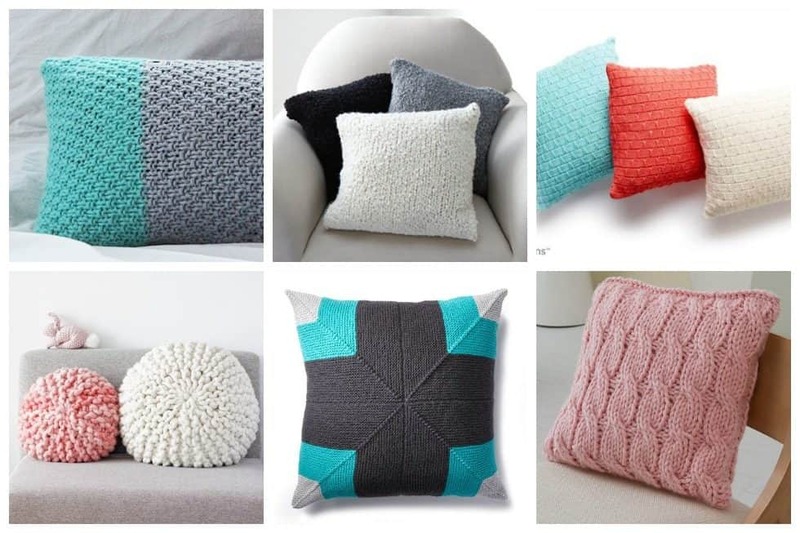 We hope you’ve selected your first knit pillow project from our great collection above.